All your product information in one single place. Seamlessly pushed to all your publications, apps and websites. Product information scattered across multiple systems is costing you valuable time and increasing the risk of error. 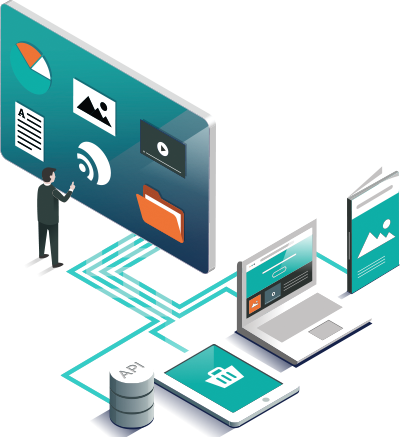 Perfion PIM gives you full control of your data, freeing up your valuable time for core tasks instead of searching for information and managing various systems. Can’t find yourself? Maybe you are tackling a business challenge instead? What is PIM and why use a PIM system? A PIM system’s most important task is to help a company manage large amounts of complex product information and distribute all of this information efficiently on the relevant channels. “With Perfion as the interface of our complete Microsoft systems architechture, we have been able to regain our data sovereignty throughout and make the extra step through an advertising agency superfluous. This has given us a savings of 70,000 EUR right away. With only one data source, we will achieve even more savings that cannot be calculated in money alone. The PIM system helps the whole company grow." Numerous companies profit from Perfion every day. Get our best tips and tricks for product information management. What's the Difference Between PIM and MDM — And Why Should You Care? PIM vs. Digital Asset Management (DAM): What's the Difference? Do you need an off-the-shelf PIM system or a custom solution?